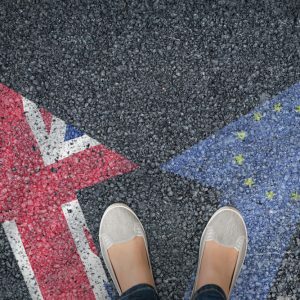 The uncertainty surrounding Brexit is still looming and there’s a long way to go before it is fully understood what impact it will have for businesses. It is therefore important that your business is prepared, no matter what the outcome of Brexit turns out to be. The Withdrawal Agreement draft may have been announced, but there is still a long way to go before we will know what the UK’s departure from the EU will truly look like in practice. One issue that has been raised for businesses is call costs. Here is a look at how Brexit could affect your company’s call costs. Roaming charges: will they or won’t they return? There has been a lot of speculation over whether roaming charges will return for UK customers in the event of a no-deal Brexit. In June 2017, all extra charges for phone calls, texts and Internet use on mobile phones within the EU were eliminated. If your company has employees who frequently travel to the EU for business, roaming charges could be a financial concern. However, reports from The Independent suggest that the Government would put a limit on roaming charges if they were reintroduced. Nonetheless, if roaming costs were to return, your business could see increased costs for employees using work phones when in the EU. When making calls to mobile customers in the EU post-Brexit, your company could be subject to charges. The EU have agreed to cap the price of calling from one EU country to another, as reported by Reuters, but this won’t apply to the UK after Brexit. National operators in EU countries are allowed to charge more to operators outside of the EU for making calls to their customers. So if you have customers in, for example, Italy and you need to call them on their mobile, call costs could become much more expensive. Home phone providers vary in costs already when it comes to calling EU countries from a landline. The uncertainty of Brexit means there is a chance that providers could increase their costs. International call costs can be pricey, but the hosted VoIP network offered by Planet Numbers could reduce your company’s calling costs significantly. Many users save at least 75%. This is due to reduced per-minute rates, plus a small per-cost access charge. While there are some apps that allow you to make phone and video calls for free, this is not always the best option. These apps use mobile phone data, which can be quickly eaten up and lead to further charges later on if your data limit is exceeded. Depending on Wi-Fi is one way to avoid using your data, but the connection must be reliable. More importantly, the person you’re calling needs to have a data or Wi-Fi connection too to receive your call. This might not always be guaranteed when you are calling international customers. Choosing a provider that provides cheap international call rates is one way to ensure you continue to stay connected at a lower price – no matter what Brexit holds.